Located in Ohiopyle Pennsylvania which is the south west corner of Fayette County, Ohiopyle State Park is a 29,000 square acre park dedicated to preserving wildlife and river life. 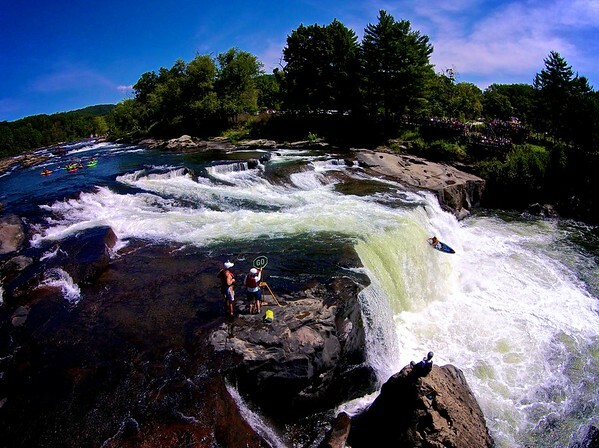 The Youghiogheny River runs through the heart of Ohiopyle State Park and is one of the most unique and diverse rivers for recreation in the east coast of the United States. This has been a home river for me for the last ten years and it really amazes me how much diversity this river has for people. The rafting industry started in the early sixties in Ohiopyle and has been running strong ever since. I’ve been lucky enough to be a part of the Youghiogheny Rafting industry for nine years working daily on this river. It’s shown me so many things and helped me grow in ways I can never repay, but being a steward of this industry and river is my lifelong plan to give back what it has given me. It is my hope that my son and I will kayak this river together.